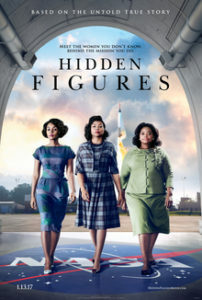 Inspired by the true story of the amazing women who helped launch Americans into space, Hidden Figures follows the lives of Katherine Johnson (Taraji P. Henson), Dorothy Vaughn (Octavia Spencer), and Mary Jackson (Janelle Monae). Facing more than their fair share of discrimination and opposition, these three African-American women prove themselves the most capable mathematicians and human “computers” by taking on the law, learning how to code the new IBM machines, and calculating trajectories with math that doesn’t even exist yet. Check out our list of other movies about space. Adults and children alike will delight in this charming classic Christmas movie about a man named Kris Kringle who is recruited at the last minute to play Santa Claus in Macy’s Thanksgiving Day parade and in the store during the Christmas season. Can he convince Doris Walker (Maureen O’Hara), Macy’s special events coordinator, and her fairytale-deprived daughter, Susan (Natalie Wood), that he is the real Santa? 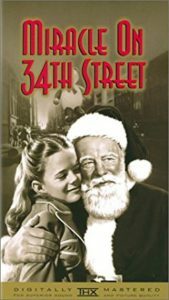 I prefer the original black and white version of Miracle on 34th Street, but there is a colorized version as well. We’ve got a list of other family Christmas movies. In Germany, a couple’s only child is killed during the early days of World War II. Otto (Brendan Gleeson) spends his days in a factory making coffins. Bereft at this loss of life, and wondering why, Otto feels like his family gave the ultimate sacrifice to the Fuhrer. Spurred into action, he disguises his handwriting and starts writing and distributing anti-Nazi propaganda around Berlin. When his wife Anna (Emma Thompson) discovers his efforts, she wants to help him despite the dangers. Both the police and army are seeking who is responsible. 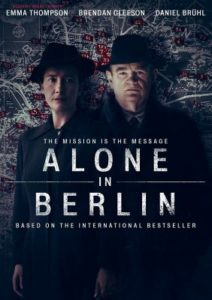 Alone in Berlin is based on a true story. Read the NPR article for more details. Mickey “Mick” Haller is a top defense lawyer in L A. He is slick and famous as an attorney who works out of his Lincoln Town Car. He takes on cases that might seem impossible or a long shot to win. The legal system is almost always stacked against his clients and you will get a look at how the system works. The wealthy young man he has agreed to defend is no prize and he sees his life and family threatened. 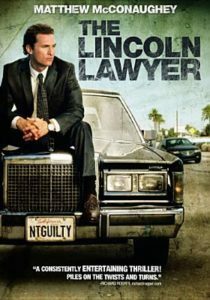 Fans of Michael Connelly will like that The Lincoln Lawyer is a good adaptation of his book and the cast is outstanding. Starring Matthew McConaughey, Marisa Tomei, and William H. Macy. You’ll find The Lincoln Lawyer on our list of Lawyers in the Movies. Superhero films are nothing new, but Wonder Woman brings more than a little something special to the table. Set in WWII, pilot Steve Trevor (Chris Pine) crash-lands on Themyscira, an island inhabited entirely by warrior women. Among them is Diana (Gal Gadot), who believes the world of men and its battles holds the key to defeating the war god Ares. She follows Trevor to England and later leads his men into battle in some of the most impressive fight scenes we’ve seen in a long time. 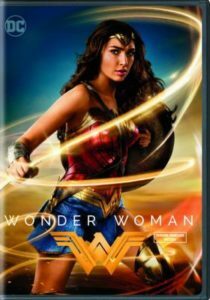 Action-packed, but balanced with humor and tender moments, Wonder Woman is sure to become a favorite of viewers and inspire a new generation of strong female heroes. In your 20s or 30s? Join us for our Popcorn & Pop Culture night on Friday, December 15 at 6:30pm. Register here. Is there a better tour guide than the affable and erudite Rick Steves? I look forward to watching this PBS special every year, and I’m never disappointed with the vicarious tour of Christmas traditions across Europe. But you too can experience the history, music, and food of the season: there’s the Santa Lucia festival in Norway, traditional English carols sung in Bath Abbey, and in the French countryside, the Christmas Eve meal consists of foie gras, and waaaaait for it…filet of beef tenderloin in brioche with truffles. Need I say more? 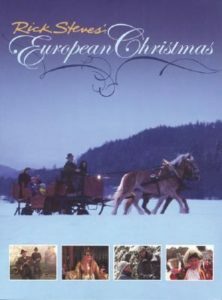 Check out Rick Steves’ European Christmas this holiday season! After the death of her mother, Mary (McKenna Grace), a young mathematics prodigy, is put in the custody of her uncle, Frank (Chris Evans). Seeing how his sister’s genius drove her to suicide, Frank wants to raise Mary as a regular child, but her grandmother wants her to embrace her gifts. The two adults engage into a custody battle—with Mary in the middle. 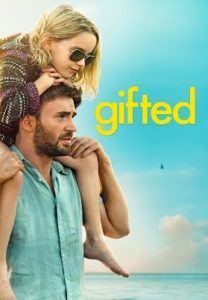 Gifted proved to be a gentle, beautiful movie that will surely appeal to your heart. This is a powerful movie, and it is very relevant today. 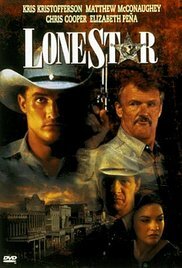 Texas law and immigration are two of the many themes played out by Matthew McConaughey and Kris Kristofferson in Lone Star. An unsolved murder in a Texas border town leads to a sheriff that once controlled a town and family secrets. Writer and director John Sayles (Eight Men Out) gives us a story with flashbacks that are incredibly moving. Many will see a film noir movie with several plot twists that will haunt you. In the early part of World War II, Catrin Cole (Gemma Arterton) is hired as a scriptwriter to accurately portray women’s dialogue in propaganda films. The war office wants these films to strike the right balance of realism and optimism, boosting morale throughout Britain (oh, and inspiring the United States to join the war). 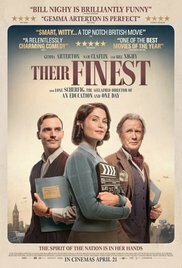 In Their Finest, Catrin works closely with fellow writer Tom Buckley (Sam Claflin) and aging film star Ambrose Hilliard (Bill Nighy) during the Blitz in London to contribute to the war effort. Based on the novel of the same name by Lissa Evans. Discover other movies set on the home front during WWII. 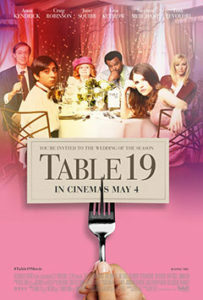 Experience a wedding reception through the eyes of the guests who probably should have RSVP’d “no” in Table 19. Eloise (Anna Kendrick), who was relieved of her maid of honor duties after being dumped by the best man, leads this heartwarming band of misfits. In this dramedy, unexpected friendships develop and life lessons are shared among this random assortment of people.